Blackburn-based MGS Technical Plastics has won a major industry award in recognition of its continuous effort to make its manufacturing processes more environmentally friendly, and for its commitment to training and developing an engaged workforce. 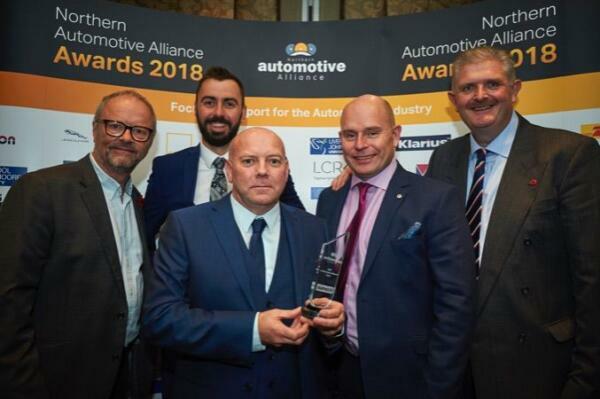 The company was awarded the Manufacturing Excellence Award at the Northern Automotive Alliance (NAA) Awards 2018. MGS operates 20 machines ranging from 35 tonne to 900 tonne, producing bespoke plastic components for a range of industries and serving as a tier 1 and 2 supplier to some of the biggest automotive companies in the world. The judges of the award were particularly impressed by the programme of improvement focusing on reducing energy use. Investments include the introduction of Thingtrax ‘internet of things’ software which monitors the usage of all machines and helps identify smarter ways to operate them. In addition, MGS recently invested £43,000 on a 49Kw solar panel unit and employ a recycling system to grind leftover sprues ready for reuse.